Socialist Alternative (CWI USA) held its biggest ever National Convention in Chicago on 20-22 October. 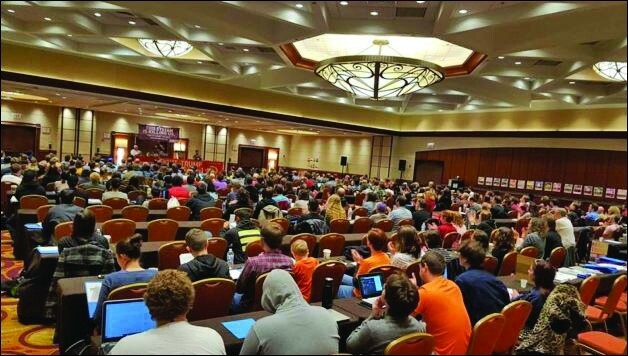 Over 300 socialists from across the country discussed the crisis of global capitalism, the rising wave of labour struggle, the growing women's movement, renewed interest in socialist ideas, and the growth of the new left. 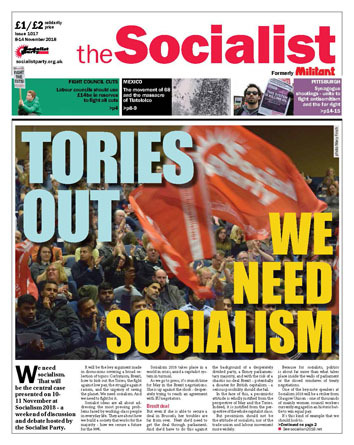 Alongside national and international issues, it also discussed the critically important campaign to re-elect Socialist Alternative member Kshama Sawant to the Seattle City Council in 2019. And as a demonstration of the sheer determination of members, the financial appeal raised $125,000! On 27 October, a record 137,000 people marched in Taiwan's capital in the 16th annual Taipei Pride demonstration. The main reason for the high turnout is the LGBT+ referenda - one pro and one anti-LGBT+ rights - on 24 November, the same day as local and regional elections. International Socialist Forward (CWI Taiwan) last summer set up the radical platform "Let's fight! 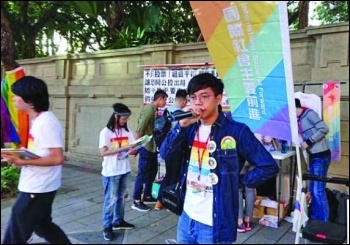 LGBT" - holding three protests and calling on people to kick out homophobic politicians. In contrast to the official LGBT+ movement, it stands for politicising the movement with a class struggle approach and orientation. 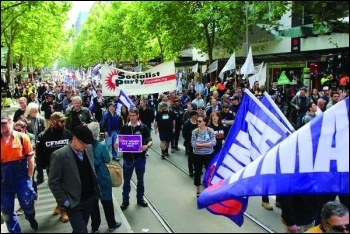 A "Change the Rules" rally on 23 October, called by the Australian Council of Trade Unions, saw more than 100,000 people bring central Melbourne to a standstill, demanding pay rises and secure jobs. The union leaders' strategy is solely based on getting Labor elected in Victoria and at a federal level. However, the very rules unions are trying to change were implemented by Labor! The Socialist Party (CWI Australia) says the campaign must prioritise mass industrial action, including a one-day national stop-work, to really change the rules, regardless of who is in power.